You save 54% off RRP! 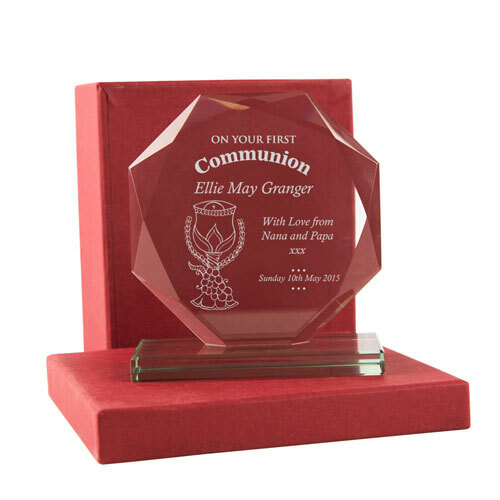 Our 'On Your First Communion' cut glass award is a thoughtful gift to give on a child's special day. It features a Eucharist illustration, alongside the details of the day. We personalise the cut glass skye facet in house so can add the recipient's full name, a short personal message, and the date of occasion. 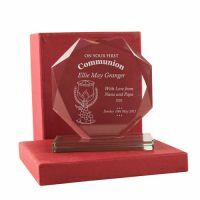 This unique gift has a glass stand so is ready to display in their bedroom on a shelf or side table. 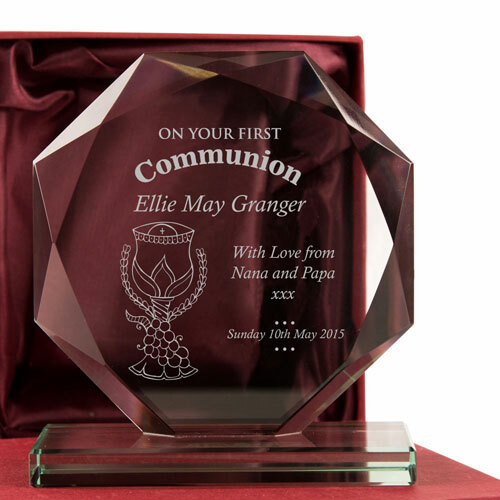 The engraving glistens when the sun hits the glass which makes this gift even more special and will be treasured for many years to come. It comes well presented in a burgundy satin lined gift box. 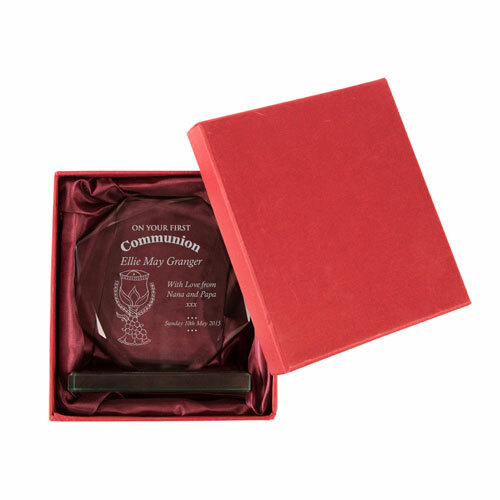 Dimensions: approximately 12 x 12 x 1cm with a 12 x 1 x 5cm stand. A substantial weight of approx 460 grams (Unboxed). Personalisation guidelines: Recipient's full name, short "love from" message (see image for guidelines), and the full date of occasion (eg. Sunday 20th May 2018).